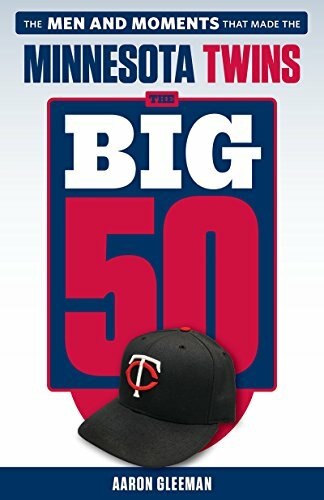 Topics for this week's "Gleeman and the Geek" episode included the final week of the season, breaking down the wild card contenders' schedules, Tyler Duffey and which mediocre starter inspires the most hope, going nuts at the Verizon store, Max Kepler's debut, super moons at LynLake Brewery, not forgetting about Byron Buxton, and trying to figure out Eddie Rosario. Topics for this week's "Gleeman and the Geek" episode included the Twins' playoff odds being on life support, Paul Molitor on experience vs. youth, riding or dying with Mike Pelfrey, recapping the Twins Daily pub crawl, Torii Hunter coming back to life, getting razors from Harrys.com, the least of the rotation evils, strikeouts vs. double plays, eating macaroni and cheese at Mason's, and snapping a 15-year no-vomit streak. 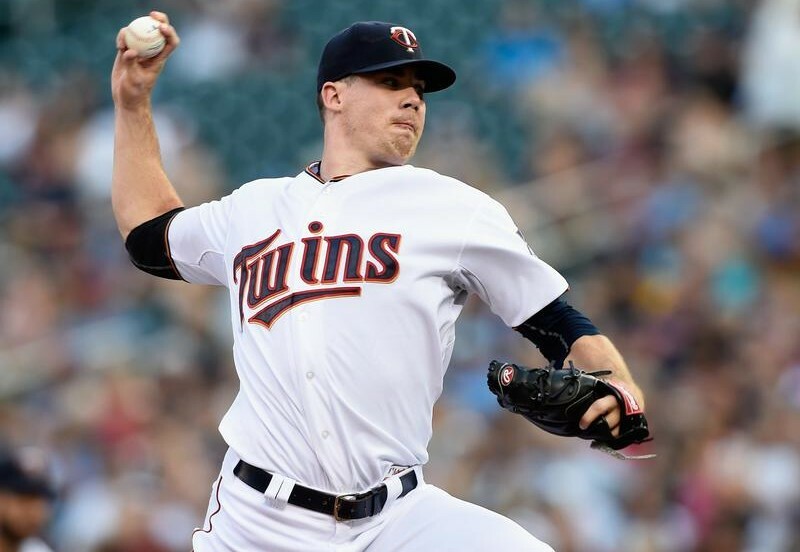 Will the Twins use Trevor May as a starter or reliever? Turning failed starting pitchers into successful relief pitchers is common practice across baseball and the Twins have done it frequently for decades, finding most of the top closers and many of the top setup men in team history that way. Trevor May looks likely to be their latest starter turned reliever after thriving in the bullpen for the past two months when a midseason rotation logjam led to his supposedly temporary role change. May has appeared in 27 games as a reliever after coming into the season as a career-long starter, throwing 27.2 innings with a 3.25 ERA and 31/7 K/BB ratio. No longer needing to pace himself for multiple trips through a lineup, May has upped his average fastball from 92 to 95 miles per hour and induced nearly 50 percent more swinging strikes while throwing more of his pitches in the strike zone. Everything points to May being a successful late-inning reliever. I just wish the Twins had given him more of a chance to actually fail (or succeed) as a starting pitcher before making what now seems likely to tempt them into being a permanent switch for a 25-year-old. May was moved to the bullpen in July not because of poor performance but because the Twins had six starters for five rotation spots and predictably decided that the youngest, least experienced pitcher should be uprooted. May had a mediocre 4.48 ERA in 16 starts this year, but his secondary numbers were far more impressive with 73 strikeouts and 18 walks in 86 innings and just eight homers allowed in 360 plate appearances. Among the six pitchers to start double-digit games for the Twins this season May has the best strikeout rate, swinging strike rate, and xFIP. Bad defense and luck made his numbers as a starter look so-so, but by several key measures May was the Twins' best starter. Even in the most optimistic scenario May is unlikely to have top-of-the-rotation upside starting, but the combination of durability, bat-missing stuff, and improved control gives him the potential to be a solid No. 3 starter at the very least. To move that type of arm from a 200-inning role to a 65-inning role at age 25 seems impulsive, especially for an organization that has long struggled to develop starters beyond pitch-to-contact, back-of-the-rotation filler. Building a quality bullpen is much easier than building a quality rotation for many reasons, one of which is that failed starters are regularly converted into successful relievers whereas the opposite rarely happens. Hopefully the Twins leave the door open for May to rejoin the rotation next year, but based on his strong performance as a reliever and their multi-year commitments to expensive veteran starters my guess is that we've seen him start his last game. 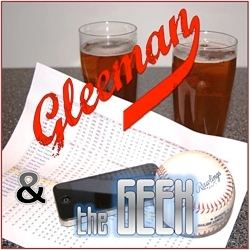 For a lot more discussion about May's long-term role, plus talk of Byron Buxton's struggles and Jose Berrios' absence, check out this week's "Gleeman and The Geek" episode. Topics for this week's "Gleeman and the Geek" episode included going back to podcast-only, bar-hopping mode, hitting the over on 72.5 wins, beating up the White Sox, Eddie Rosario's odds of turning back into a pumpkin, Eduardo Escobar's hot streak, Torii Hunter showing signs of life, Trevor May's future role, not calling up Max Kepler or Jose Berrios, what to make of Byron Buxton so far, and Oktoberfest at 612 Brew. For the first time in four years of the show I had a planned absence for a "Gleeman and The Geek" episode, so John Bonnes brought in three different co-hosts to replace me and talk about ... I dunno, I wasn't there. Listen and find out.